John Calvin was a French theologian born in 1509 and died in 1564. Calvin was a contemporary of Martin Luther during the Protestant Reformation. Calvin’s ministry was centered in Geneva, Switzerland where he is credited with founding the Presbyterian Church in 1536. Calvin was known as a very strict, dogmatic type of person. At times Calvin even offended his most loyal followers with his extreme strictness and radical theological positions. In 1553 Calvin accused Dr. Michael Servetus, a Spanish physician and theologian of being a heretic. Upon the accusation of Calvin, Dr. Servetus was condemned by civil and church authorities and burned at the stake. Calvin believes in sprinkling babies contrary to Bible baptism by immersion of believers. Calvin did not believe in the rapture of the church. Calvin did not believe in the coming Anti-Christ to rule the world. Calvin did not believe in the coming seven years tribulation period as thought in the Bible. Calvin did not believe in the coming millennial kingdom reign of Jesus Christ from the Throne of David in Jerusalem. John Calvin did not actually originate the five points which later became known as Calvinism. Augustine was the originator of the five points in the late 4th and early 5th centuries. Augustine taught that all non-elect babies dying go to hell. Even today Calvinists teach that non-elect infants go to hell if they die. The idea that non-elect infants go to hell if they die came from philosophy and not from the Bible. There is not one verse in the Bible that teaches such a monstrous doctrine. Instead, the Bible teaches when infants die they go immediately to heaven. When King David’s baby died, David said “…I shall go to him, but he shall not return to me.” (2 Samuel 12:23) The Bible clearly states that the baby of the adulterous relationship between David and Bathsheba is in heaven. Surely if it were possible for any baby to be born non-elect it would have been the baby born from a sinful relationship between David and Bathsheba. Yet, the Bible clearly states the baby of David and Bathsheba is in heaven. Although John Calvin was not the originator of the five point doctrine known as Calvinism today, he was one who popularized the five points. Since Calvin was a popular reformation preacher the five points originated but Augustine became known as Calvinism. And today those who believe in the five points are known as Calvinists. Calvinists often refer to Calvin’s system of theology as the five points of Sovereign Grace. The five points of Calvinism has been arranged under the letter found in the word TULIP. The letter T stands for TOTAL DEPRAVITY. The letter U stands for UNCONDITIONAL ELECTION. The letter L stands for LIMITED ATONEMENT. The letter I stands for IRRESISTABLE GRACE. The letter P stands for PERSEVERANCE OF THE SAINTS. 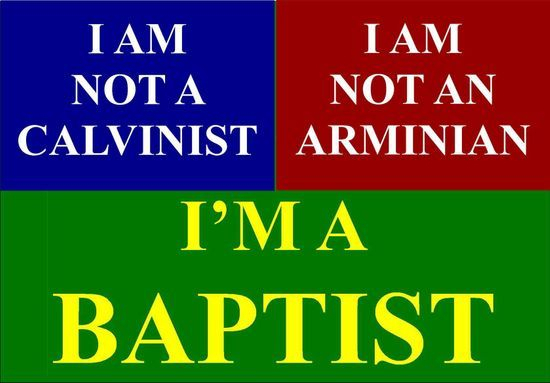 Generally speaking those misguided theologians teaching the five points of Calvinism are found within the Baptist churches and are in small minority, but they create much discord with their doctrines. By the term total depravity the Calvinists teach that man is so totally depraved in every aspect of his nature that he cannot even believe in Jesus Christ and be saved. By adding the word TOTAL to depravity, the Calvinists extend man’s depravity to include his will. The Calvinists teach that a man is so completely dead in trespasses and in sin that even his will is depraved. To a Calvinist, man is like a corpse. He is dead. He has no free will. His will is depraved. Calvinists Frank Beck states in his booklet on the five points of Calvinism, “Man is dead in trespasses and sins. The sinner is spiritually dead to God. Thus he cannot repent of his sin, believe the Gospel, come to neither Jesus Christ, nor life for Him.” By extending depravity to include the will, the Calvinists are teaching that no sinner can come to Christ and be saved unless God has elected that person and gives him repentance and faith. The Bible teaches man is depraved. We are all born in sin. We all have the sinful Adamic nature. We are all depraved creatures. Anyone who believes in the Bible accepts the truth of a man’s depravity. However, the Bible never speaks of TOTAL depravity. The term total depravity, as used by the Calvinists, came from philosophy and not the Bible. There is not one verse anywhere in the Bible that states that man is totally depraved including his will. There is not one verse anywhere in the Bible that states man has a depraved will. The will is free to bring or not to bring offerings to the Lord. The will is free to assemble or not to assemble with God’s people. The will is free to accept or reject Jesus Christ. Proverbs 1:24 – “Because I have called, and ye refused…” – God called or invited this person to be saved but he refused. Every person can exercise his freewill, his power of choice, in accepting or rejecting the gospel. Proverbs 1:33 – “But whoso hearkeneth unto me shall dwell safely…” – This verse indicates that whosoever hearkeneth or accepteth Jesus Christ shall dwell safely in heaven. The person exercises his freewill in accepting Christ. Every person can exercise his freewill by believing on Christ or by believing not on Christ. The will of man is free to believe or not to believe. Man has a free will not a depraved will. Other verses teaching the freewill of man includes: John4:14, John 11:26, John 12:46-47, Acts 2:21, Acts 10:43, and Revelation 22:17. By unconditional election Calvin taught that some are unconditionally elected while others are bypassed or unconditionally reprobated to hell. By unconditional election the strict Calvinist teaches that the decision on whether one goes to heaven or hell is wholly and completely the decision of God. The five points Calvinist believes that God has already decided who will be saved and who will be damned and there is absolutely nothing the individual sinner can do about it. With the doctrine of unconditional election the only thing a sinner can do is hope that he is one of the fortunate ones whom God has elected. The five points of Calvinism teaches that if God has chosen you to be saved then you will be saved regardless of any conditions whatsoever. However, if God has not chosen you to be saved then you cannot be saved regardless of anything you might do. In reality, Calvinism teaches a hopeless case. If God has already decided who is to be saved, and who is to be reprobated, then man’s destiny is already fixed before he is even born. This type of doctrine reduces man to being a robot with no hope whatsoever to change his eternal destiny. The five point Calvinists base their doctrine of unconditional election upon only a few verses of Scripture or excerpts of verses without considering the context: Actually, the entire Calvinistic system of theology is built upon a perversion of Scripture. According to Dr. P.S. Ruckman, the entire system of extreme Calvinism is based upon about 25 verses of Scripture. Then the Calvinist manipulate the reset of the Bible in such a way to make it agree with their predetermined theological position. Calvinist Frank B. Beck bases his doctrine of unconditional election on portions of verses without considering the entire verse. On page four of Beck’s defense on Calvinism, he gives the following verses as defending unconditional election. Beck only quotes parts of two verses to defend his position of unconditional election in heaven. However, when the context is closely examined one discovers the verses say nothing at all about election to heaven. Instead, the verses are talking about holiness and bearing fruit. Now, notice the verses carefully as we examine the entire verse. By considering the entire verse, we discover that Ephesians 1:4 ways nothing at all about unconditional election in heaven. Instead, the verse is teaching that God has chosen believers to live holy lives without blame before Him in love. God has chosen believers to live clean, pure, holy, lives. By considering the entire verse, we discover that John 15:16 says nothing at all about unconditional election to Heaven. Instead, the verse is teaching that God has chosen all believers to go and bring forth fruit. God has chosen all believers to win souls to Jesus Christ. The word elect or election appears in the Bible 27 times. The elect always refers to the people of god. In the Old Testament the elect refers to the children of Israel. In the New Testament the elect refers to the born-again believers. There is a Bible doctrine about election. However, in the bible no one is elected until they accept Jesus Christ and no one is reprobated until they reject Jesus Christ. The decision on whether you become one of the elect children of God, or whether you remain one of the non-elect children Satan is up to the choice of each individual sinner. Every sinner is born with a free-will to choose or reject the Gospel. God does not force anyone to be saved with His unconditional election. And neither does God reject anyone to be damned with His unconditional reprobation. In order not to be led astray by the Calvinistic philosophies, the following Biblical facts should be emphasized. The secret to understand the Biblical doctrine of election is found in the word foreknowledge. Whenever the Bible speaks of election it is always according to the foreknowledge of God. Since God is omniscient, He knows in advance who will become one of His elect. The Calvinists are all confused about God’s simple plan of salvation. The five point Calvinists make salvation dependent upon whether God chose you or not. Calvinist Frank B. Beck states, “By unconditional election we mean that God alone does the electing.” However, the bible makes salvation dependent upon whether you accept Jesus Christ or not. Your eternal destiny is up to you. Every person has a free-will to accept or reject Jesus Christ. By limited atonement the Calvinists teach that the blood of Jesus Christ is limited to the elect. Calvinist Frank Beck states, “The Son died in the stead of all those whom the Father elected to salvation.” By unconditional election the Calvinists teach that God alone chooses who is to be saved. And, by limited atonement the Calvinists teach that the blood shed by Christ on the Cross is limited to the elect whom God has chosen. According to Calvinistic theology, if you happened to be unfortunate and were born into this world non-elect, there is no hope for you at all because not one drop of blood was shed for you. This heretical doctrine of limited atonement is also sometimes called the doctrine of particular redemption or definite atonement. Sometimes the Calvinists foolishly states that if Christ’s blood was shed for the whole world and the whole world does not get saved then that would involve wasted suffering on the part of the Lord Jesus. But, the Bible never speaks of wasted suffering. To talk about wasted suffering is to talk as a philosopher and not as a Bible believer. The truth is that Christ had suffer on the cross as much if He died for only one sinner, or as if He died for one hundred billion sinners. The doctrine of a limited atonement as taught by the followers of John Calvin is a very serious doctrinal error. Calvin had the basic doctrine of the blood atonement all confused. To be in error about the blood atonement of Jesus Christ is to be involved in a major heresy. The blood of Jesus Christ was even shed for false prophets and false teachers – 2 Peter 2:1 this passage of scripture completely destroys the Calvinistic argument that the blood of Jesus Christ is limited in scope. We read, “But there were false prophets also among the people, even as there shall be false teachers among you, who privily shall bring damnable heresies, even denying the Lord that brought them…” Who brought the false prophets? The Lord. What did the Lord buy the false prophets with? His precious blood. The blood of Jesus Christ was shed for all sin and for all people. Hence, the atonement is full not limited. Dr. Lewis Sperry Chafter states that the word whosoever is used at least 110 times in the New Testament and always with an unrestricted meaning. The word “whosoever” is never used in a limited sense to apply only to the elect. In conclusion, we must reject limited atonement as taught by the followers of John Calvin. In reality the Calvinists are teaching a limited love of God, limited in the sense that Christ’s blood is limited to the elect. The Calvinists like to talk about the doctrines of grace. However, in reality the Calvinists are teaching a limited grace. According to the Bible those of us who teach the blood is for all sin and for all people are the ones teaching the true grace of God. Biblical truth is: “FULL ATONEMENT”. By irresistible grace Calvin taught that the grace of God could not be successfully resisted. The Doctrine of irresistible grace as taught by the Calvinists is sometimes called effectual calling of the Holy Spirit. With this doctrine the Calvinists teach that the Holy Spirit cannot be resisted if God has elected you to be saved. In other words, God forces those to be saved whom He has chosen for salvation and for whom Christ shed His blood. In trying to defend their position, the Calvinists came up with a general call and effectual call. The Calvinists say general call is an external call extended to all people that can be resisted by the non-elect. Then, the Calvinists say the effectual call is an internal call extended to the elect that cannot be resisted. Since the Calvinists are using two calls to defend their doctrinal position, it is difficult to refute their position as they use the general call as an escape hatch. If you point out one of the many scriptures which show that men have resisted the Holt Spirit, the Calvinists will run to his escape hatch claim that verse refers to the general call and not to the effectual call. Therefore, as long as the Calvinists insist on using double talk they will be hard to convince of their errors. The Bible teaches that a double minded man is unstable in all his ways. The bible says nothing at all about general call to everyone and an effectual call to the elect. – Romans 10:13 The idea of two calls, one general and one effectual, is a Satanic deception that came from philosophy and not from the Bible. The Bible makes no such distinction. Instead, Jesus simply said, “Come unto me all ye that labor and are heavy laden…” Matthew 11:28. The word irresistible is not even a Bible word. Nowhere in the Bible does the word irresistible appear before grace. So, to talk about irresistible grace is to talk as a philosopher and not as a Bible believer. The Calvinists have a big problem with their theology when it comes to the unpardonable sin. The Calvinists say the Holy Spirit cannot be resisted. However, the Bible says there is an unpardonable sin which happens to be a continuous resistance against the Holy Spirit. Therefore, the Calvinists doctrine of irresistible grace is a direct contradiction to the Biblical truth of unpardonable sin. The Calvinists have wrongly divided the Word of Truth. In conclusion, we must reject irresistible grace as taught by the followers of John Calvin. God’s grace can be resisted. There is an unpardonable sin. Biblical truth is: “RESISTABLE GRACE”. By the perseverance of the saints the Calvinists teach the eternal security of the believer. The Bible teaches in many passages the eternal security of a child of God. If the Calvinists had simply said the eternal security of the believer we could accept point five. However, we cannot agree with the word perseverance that the Calvinists use to describe eternal security. The word perseverance means to persist in something, to make persistent effort. Now, we are not eternally secure because of human persistence, but because we have been preserved in Christ Jesus. There is a big difference in meaning between the word perseverance and the word preserved. The word preserved means to be kept safe, to be kept secure, and to be protected. Therefore, the correct word to use in describing eternal security is preserved not perseverance. The word perseverance is only found in the Bible one time and it is referring to persevering in prayer. Ephesians 6:18 the saints perseverance in prayer but not in keeping their salvation. Charles H. Spurgeon said: “I do not believe in the perseverance of the saints; but in the perseverance of the Saviour.” It is the Saviour who perseveres to keep the saints secure and not the saints who persevere to remain safe. The bible uses the word preserved in Christ Jesus to describe eternal security. Jude 1. The bible uses the word preserve, preservest, and preserveth a total of 58 times. Often these references are referring to the eternal security of believers preserved in Christ Jesus. Whereas the word perseverance is only used one time and in reference to prayer. In conclusion, we must reject the perseverance of the saint taught by the followers of John Calvin. It is true that the saints will persevere. However, the saints do not remain eternally secure because of human perseverance but because of divine preservation. The word predestination is only found in the Bible four times. The word predestination means to foreordain or predetermine. Both election and predestination are according to the foreknowledge of God. Dr. Theodore Epp, a noted Bible teacher, states. “In all passages where the word predestinate is used we find that God is speaking only of believers.” The word predestinate then refers to believers and not to unbelievers. To teach that some people are predestinated to heaven and other are reprobated to hell is to speak as a heretic. Predestination speaks of the end of a Christian’s life and not the beginning. Note the following bible references in regards to predestination. In final conclusion on the topic of Calvinism, Election, and predestination, we have shown from the Bible that none of the five points as taught by the Calvinists are correct. The Biblical truth about the five points is very simple. POINT ONE – Man is depraved but with a free will to accept or reject Jesus Christ. POINT TWO - Election is conditional upon a man being in Christ. Therefore, the Bible teaches conditional election. POINT THREE - The blood is for all sin and for all men. Therefore. The Bible teaches a full atonement. POINT FOUR – The Holy Spirit can be resisted. Therefore, the Bible teaches resistible grace. POINT FIVE - The saints do not preserve to remain saved. Therefore, the Bible truth is preserved in Christ Jesus. The Apostle Paul warns the believers about radical extremists who would enter the flock teaching strange doctrines. To those who would sow discord among the brethren with their divisive doctrines, Paul says we are to mark them and avoid them; we are to sever fellowship with the troublemakers who cause divisions, discord, and disunity with their radical doctrines. To those who may have been influenced by the five points doctrines of extreme Calvinism, God warns in His word to stop listening to false teaching.